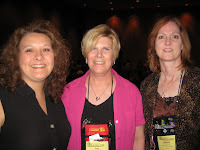 Paralegals searching for quality continuing education programs offered over a brief period of time should consider attending conventions sponsored by professional associations. NALA the Association of Legal Assistants-Paralegals offered this opportunity to paralegals from all over the country July 29-August 2nd at the association's 33rd annual convention in Oklahoma City, OK.
Not only do conventions sponsored by professional associations offer excellent continuing education opportunities, they also provide occasion for networking with peers. 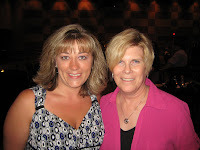 The five days I spent in Oklahoma City (July 29-August 2nd) at the NALA Convention were terrific! It was great fun to reconnect with long-time friends, as well as get acquainted with new friends from across the country. I encourage every paralegal to put a convention on their calendar! The pictures below were taken following the installation of NALA's officers for 2008-09. Linda J. Wolf (Dallas TX) will serve as President for the coming year. I spent some time chatting with Montana members Terry Halstead (left) and Barbara Bessey (right). As a NALA Past President, I always look forward to reminiscing with other Past Presidents at Convention. 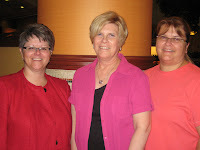 This year I got visit with Brenda A. Mientka (Colorado Springs, CO) (l) and Tita A. Brewster (Las Cruces NM) (center). 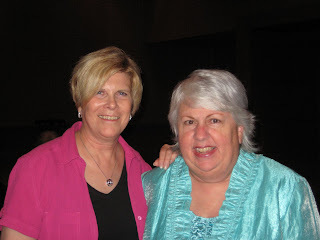 Past Presidents Patricia G. Elliott (Phoenix AZ) and Debra J. Monke (Bloomington IL) attended but were unavailable for a picture. 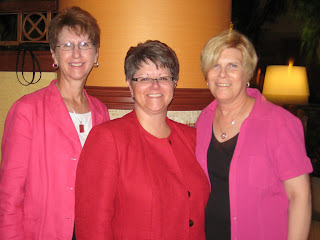 I was a very proud mentor when members from Michigan were elected to office! Sharon A. Werner (l) was elected Second Vice President and Kelly A. LaGrave (r) will serve as Treasurer. Congratulations to both of you! Deb Elkins (r) (Tucson AZ) always has a smile for everyone! Deb has missed just one convention in the past 14 years. Quite a record! 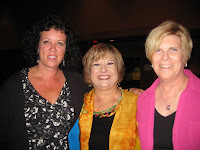 Ann Atkinson (Omaha NE), NALA Secretary, shares a moment with Sharon Werner and me. Congratulations on your election, Ann! Ruth Conley (Houston TX) (l) and Lorena Shingleton, Charleston WV (below), celebrated their 'graduation' from NALA's first LEAP Class. I served as Lorena's mentor this past year. Ruth was instrumental in arranging my presentation 'Keys to Eliminating Procrastination and Perfectionism' to the Houston Paralegal Association. 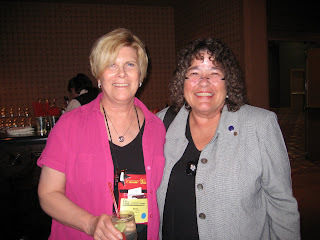 Following the reception, I had dinner with NALA CEC Chair, Kathy Miller (Irvine CA) (l). Convention Chair, Chris Porter (Wilsonville OR) and Tita Brewster (Las Cruces NM) joined us. 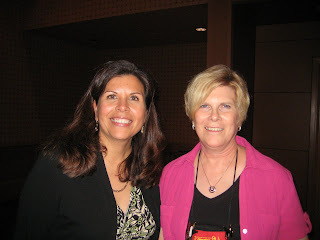 Now I'm looking forward to NALA's 34th Annual Convention in San Diego CA, July 2009! Hi Vicki. Really enjoyed your presentation at convention! Very intriguing, especially from someone who does alot of investigation work. Who was the culprit? Unless I missed something on your website, I didn't see who "dunnit". Thanks for making the presentation enjoyable and thought provoking. And thanks for your advice to all fellow paralegals. In these times, we all need a boost of energy, confidence and renewed sense of professional well being. You rock! As Michelle Erdmann said--you are the Oprah of the paralegal field! Ditto from my end!